My birthday road trip this year was to Hope, Freedom, Liberty, and Union. 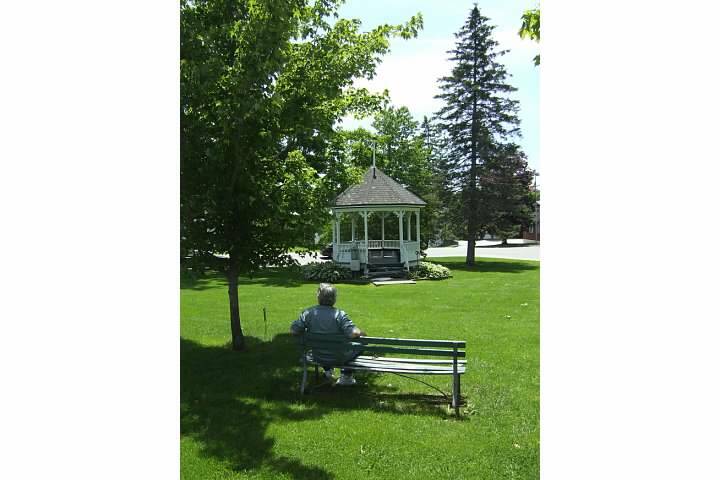 My favorite of these wonderfully named towns was Union, with its beautiful downtown common. 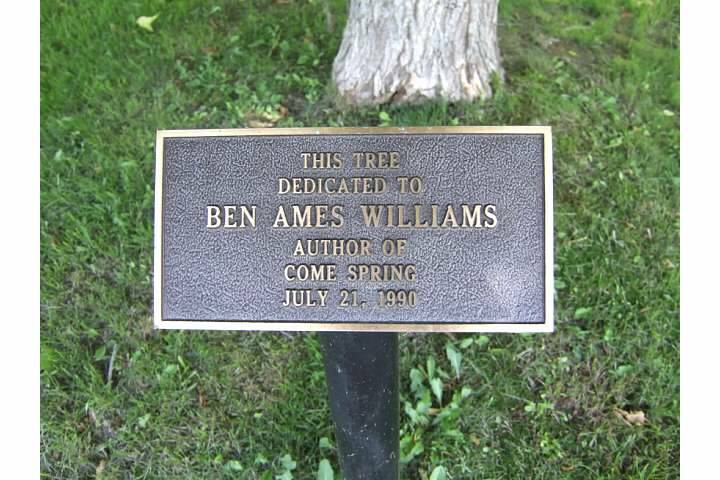 There were several visual cues in the common referring to “Come Spring,” a novel by Ben Ames Williams published in 1940, which tells the tale of the first settlers of Union, then known as “Sterlingtown.” Sterlingtown became incorporated as Union in 1780, when there were 19 families. “Come Spring” fictionalizes the story of these families. Despite being 866 pages, the book kept me interested throughout with good characters, humor, and mostly the wonderful descriptions of every day life in these early days of Maine settlement. It also contains one of the longest courtships I’ve ever read in fiction, a wonderful love story, and a strong and likeable main female character. 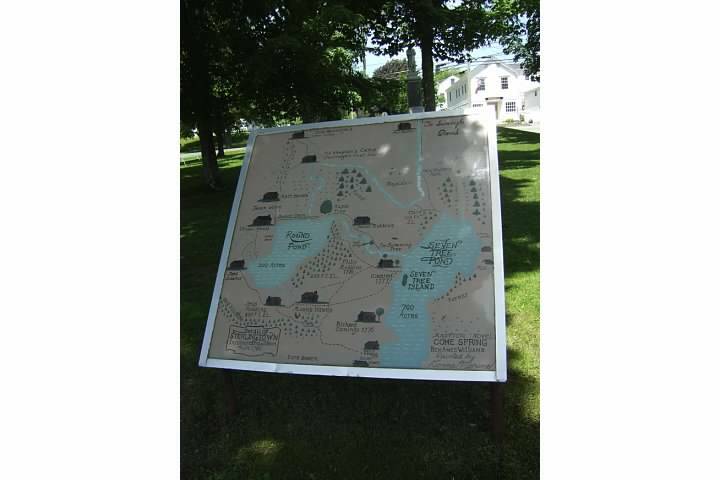 In Union’s common is a map of Sterlingtown, which can be found in the book endpages, as well as a plaque under a tree dedicated to Ben Ames Williams (1889 – 1953). What a treat to “discover” a Maine author (Williams vacationed in Maine, and set several of his works there) whom I have not read, especially after visiting Union. I need to return there again, now that I’ve read this book that further explores the history of Union.